I love film, sports, and women, and I have new sheroes and a renewed passion for two previous sheroes. The second annual Women Sports Film Festival takes place now to October 1, at The New Parkway Theater in Oakland, California. “The festival celebrates female athletes and storytellers through documentary film” . By the numbers: 7 features, 16 shorts, 3 continents, 18 sports. My newest sheroes are in Run 4 All Women (they ran from Harlem to D.C. prior to the Women’s March and raised more than $100,000 for Planned Parenthood), founder and filmmaker Alison M. Desir was present for a Q and A. If you missed it you can catch her in a panel discussion, #EverydayActivism, along with WNBA legend and Olympian, Chamique Holdsclaw , and the first basketball player to compete wearing a hijab, Bilqis Abdul-Qaadir. Renewed love for sheroes Billie Jean King and Venus Williams. The latter is profiled in Venus Vs. directed by Ava Duvernay. 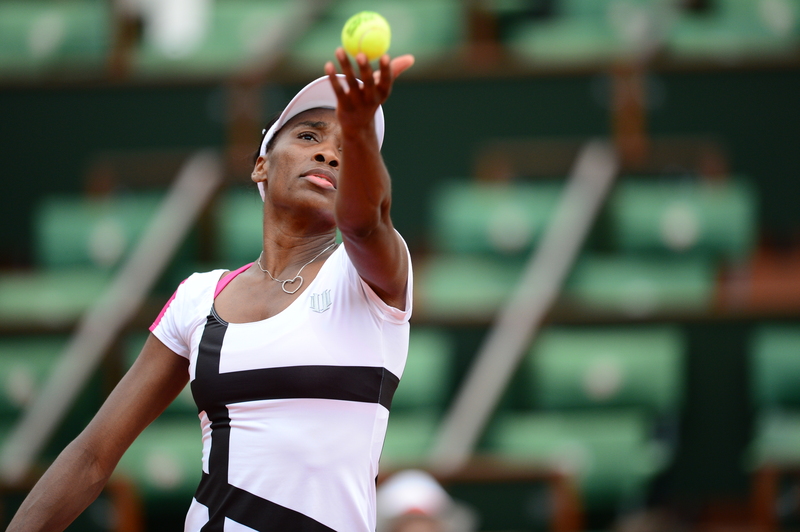 Billie Jean led the way for equal prize money for women in tennis, Venus shattered the glass ceiling. Bonus was a pre-recorded Q & A with Ava and Whoopi Goldberg was on the panel. After successfully crowdfunding over $27,000 via Kickstarter, we are excited to build on the success of last year’s festival. From pay equity to religious freedom, our films touch on many of the most urgent issues impacting women and girls today. Our goal is to energize and inspire with this year’s program that showcases badass women smashing stereotypes and breaking barriers. –Susan Sullivan, Founder & Director. Peace, love, joy, faith, courage, compassion, and blessings.